Title: Stroppy Clock with Orange, Yellow and Gold Detail. Approx Measurements: Hight 22 cm, Width 19 cm, Depth 6.7 cm. 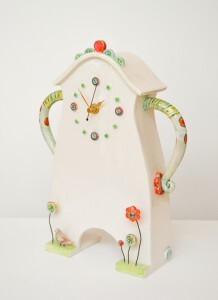 Title: Stroppy Clock with Green, Red and Gold Detail. Approx Measurements: Hight 30 cm, Width 23.5 cm, Depth 7.5 cm. 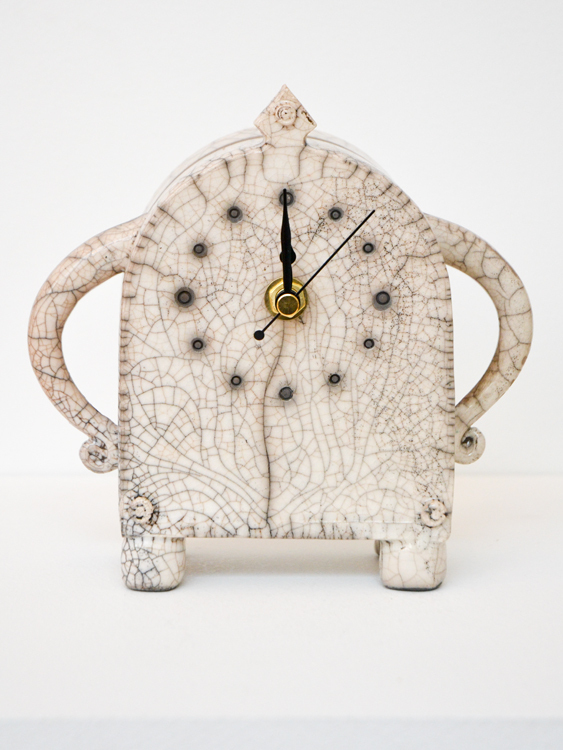 This entry was posted in Ceramics, Online Gallery Overview and tagged Art, Ceramic Art, clock, gift idea, Sarah McCormack, Stroppy Clock on June 17, 2016 by 45 Southside. 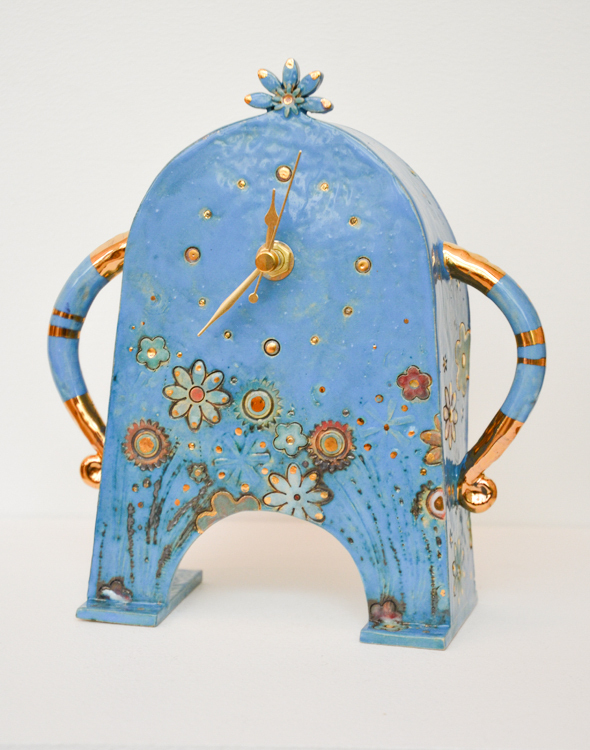 Armless Turquoise Clock, Approx Measurements: Hight 16cm, Width 10.5cm, Depth 5.5cm. 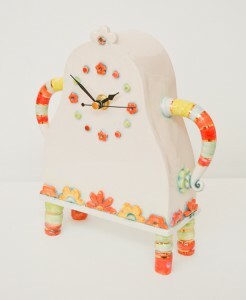 Stroppy Clock, Approx Measurements: Hight 21cm, Width 21cm, Depth 7cm. 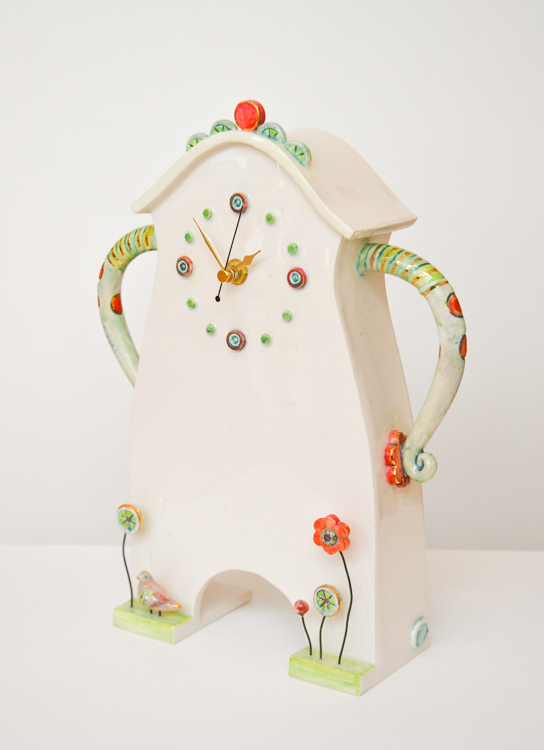 This entry was posted in Ceramics, Online Gallery Overview and tagged Art, ceramics, gift idea, Sarah McCormack, Stroppy Clock on September 19, 2015 by 45 Southside. 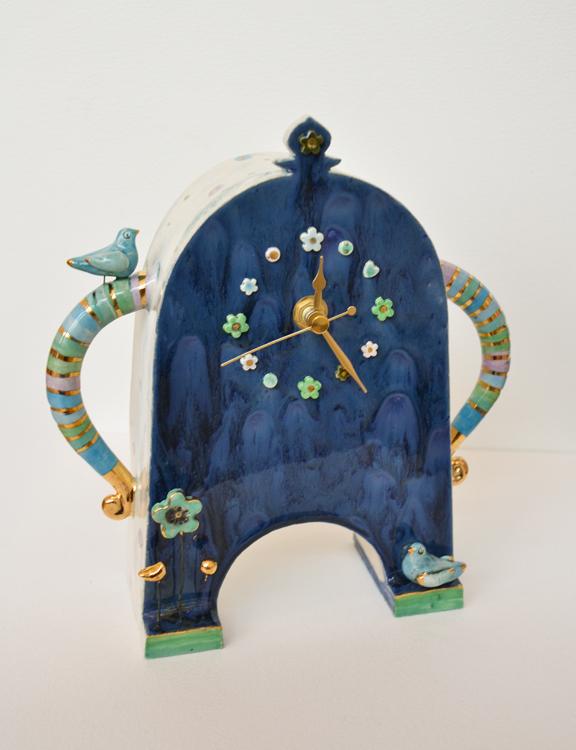 Material: Ceramic, glazed, gold lustre detail. 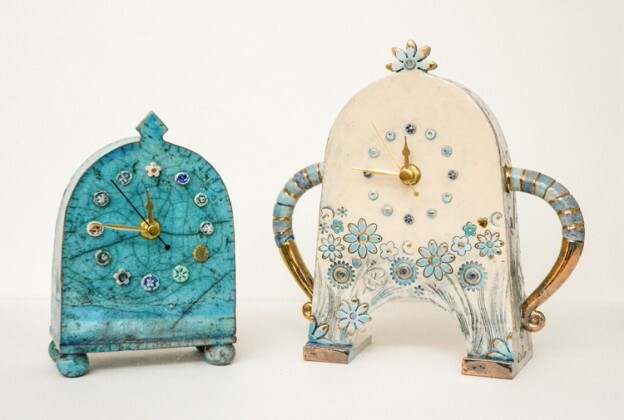 This entry was posted in Ceramics, Online Gallery Overview, Other, Sculpture, Tableware, Uncategorized and tagged Art, Blue, ceramics, Sarah McCormack, Stroppy Clock, Ticktick on June 18, 2015 by 45 Southside. 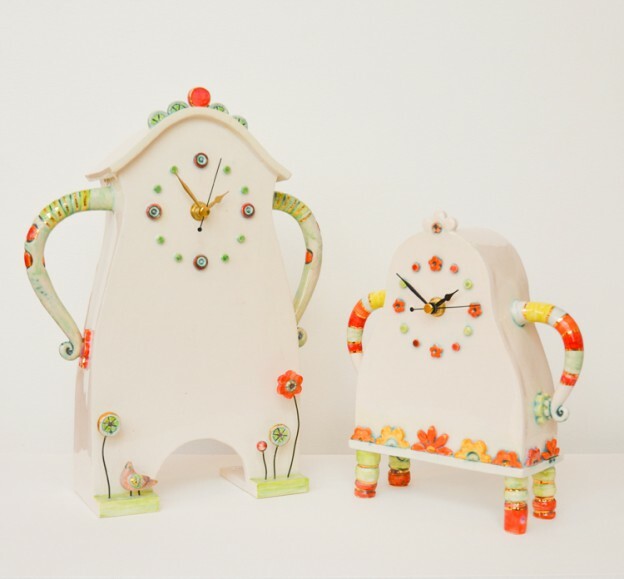 This entry was posted in Online Gallery Overview, Uncategorized and tagged Art, ceramics, clock, gift idea, Sarah McCormack, Stroppy Clock on February 19, 2015 by 45 Southside. To view more work by Sarah McCormack, please click on the tag in the right column. 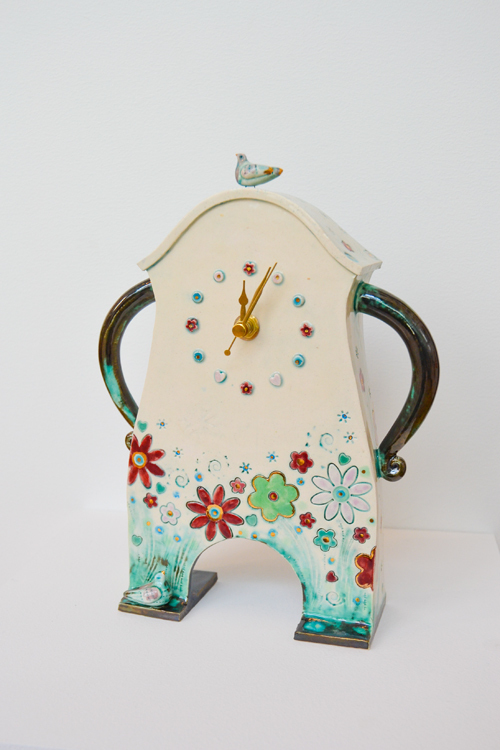 This entry was posted in Ceramics, Online Gallery Overview and tagged Art, ceramics, clocks, gift idea, Sarah McCormack, Stroppy Clock on February 18, 2015 by 45 Southside.